Creganna Medical will be exhibiting, as well as recruiting, at Jobs Expo Galway this Saturday. Their team will be meeting jobseekers in the Kilannin Suites from 10 am to 4 pm at the Galway Racecourse. Creganna Medical specialise in minimally invasive delivery and access devices. The organisation renders the full spectrum of services to design, develop and deliver finished medical devices to market. They also offer outsourced solutions to medical device companies. Creganna’s objective is to help their customers to get to market faster and retain market advantage for longer. their practical and proven solutions reinforce this for every stage in the medical product lifecycle. Creganna was established in 1979 in Ireland, primarily serving industries that supplied outsourced engineering solutions. In 1998, the company delved into the medical device sector. Five years later, Creganna decided to concentrate completely in the medical technology industry and divested its operations in all other fields. Since 2000 the company has expanded immensely within the medical device sector. This advancement is due to the introduction of new products and technology as well as service enhancements, multiple locations and acquisitions. 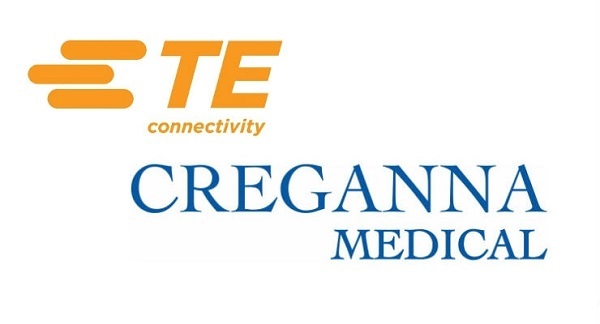 Creganna became Creganna-Tactx Medical after acquiring Tactx Medical in 2010. And in 2012 they also acquired Irish company ABT Medical. Additionally, the company established a Chinese representative office in 2013. As a result, the company built stronger relationships with its foreign and domestic customer base in Asia. In 2014, the company acquired Precision Wire Components, a specialist in medical wire and coil. Effectively, it became the largest metals fabricator for minimally invasive delivery and access devices. It also added facilities in Costa Rica and Oregon to its global footprint. Today Creganna Medical’s network expands throughout four continents. Ireland is the base for the company’s headquarters, where it operates as a private limited company. The dedicated team is the cornerstone of Creganna’s accomplishments. It’s a true testament to the company’s culture that some of their staff have worked there for over 20 years. Creganna’s goal is to create a working environment that encourages innovation and self-development across all boards. Staff are urged to develop new skills and enquire about necessary courses when needed. Opportunities are plentiful for career progression and there for ambitious employees to avail of. In conclusion, the Europe Top 500 list acknowledges Creganna Medical for growth in job creation. Medical device experts, Creganna Medical, talked to us at Jobs Expo Galway.